There are several ways to watch TV online. You can download episodes from video portals, use p2p networks to download shows, use p2p clients that stream TV in real time and use websites that do the same. The demand for and resources to do so are growing with every year and it becomes quite a task to keep an overview over the best options to get your TV fix. Most legit TV services that let you watch shows and episodes only restrict access to those shows to users of select countries. Most listed below restrict access to users from the US or UK. This means that you won't be able to access the TV shows if you are from the US but abroad for example. There are ways around this, and I'll mention one at the end of the guide. 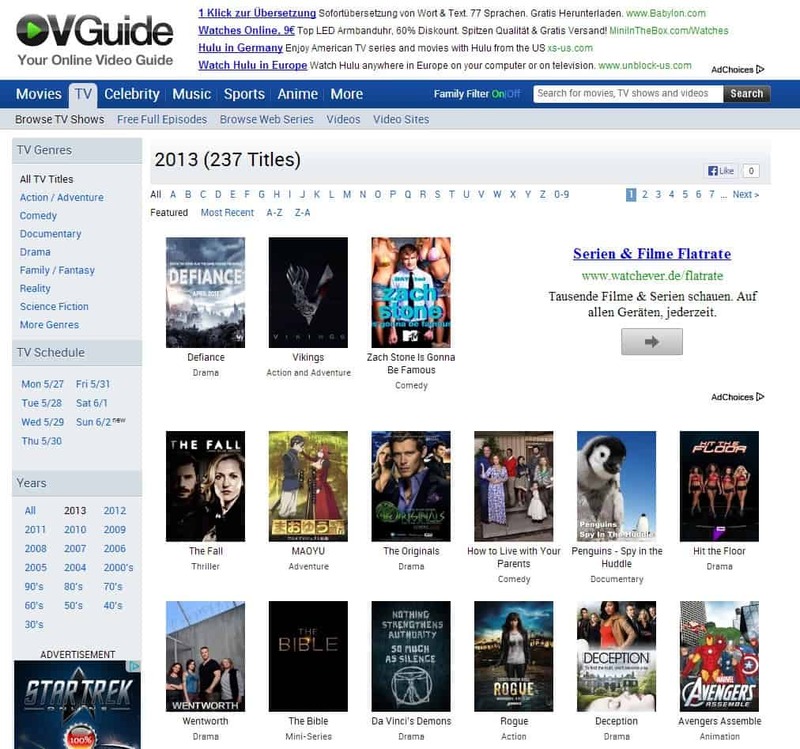 The guide is divided into sites that offer streams on their websites, and other sites that aggregate contents. All services are free. A well known online TV site that is only accessible in the US. It offers a selection of free TV show episodes and video clips that you can watch right away on the site. The commercial Hulu Plus subscription service provides you with access to additional TV shows and episodes. For some, all episodes and seasons are available so that you can watch them right on the site. This includes among others all episodes and seasons of Law & Order, Family Guy, Hell's Kitchen, One Piece, Grey's Anatomy, Yu-Gi-Oh and a lot more. 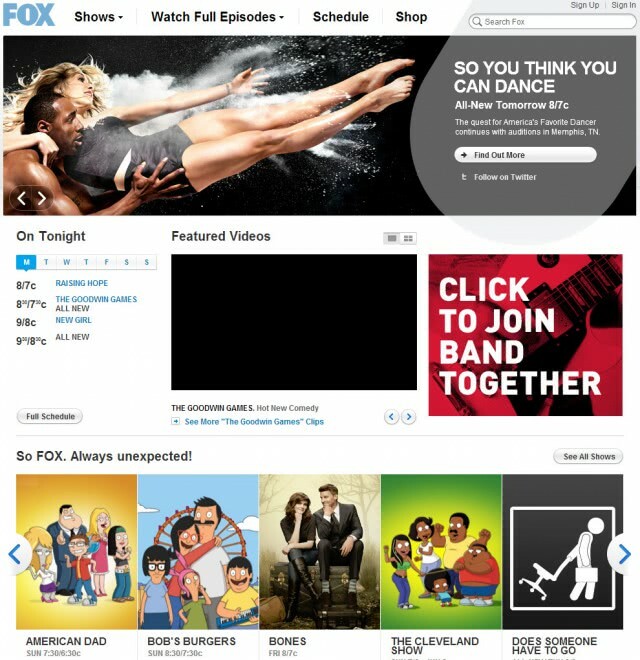 You can watch episodes and clips of Fox shows on the official website. Only a limited number of episodes are available for each show (usually five). You can watch the five latest episodes of NBC shows on the official website. You find clips in addition to that on the website and additional information about the show, but the episodes are limited just like they are on the Fox website. 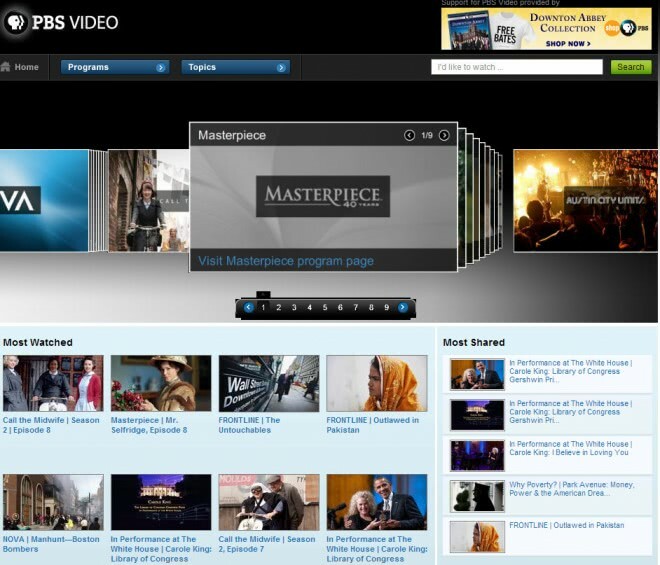 Watch PBS shows such as Call The Midwife, Antiques Roadshow or Masterpiece on the website. 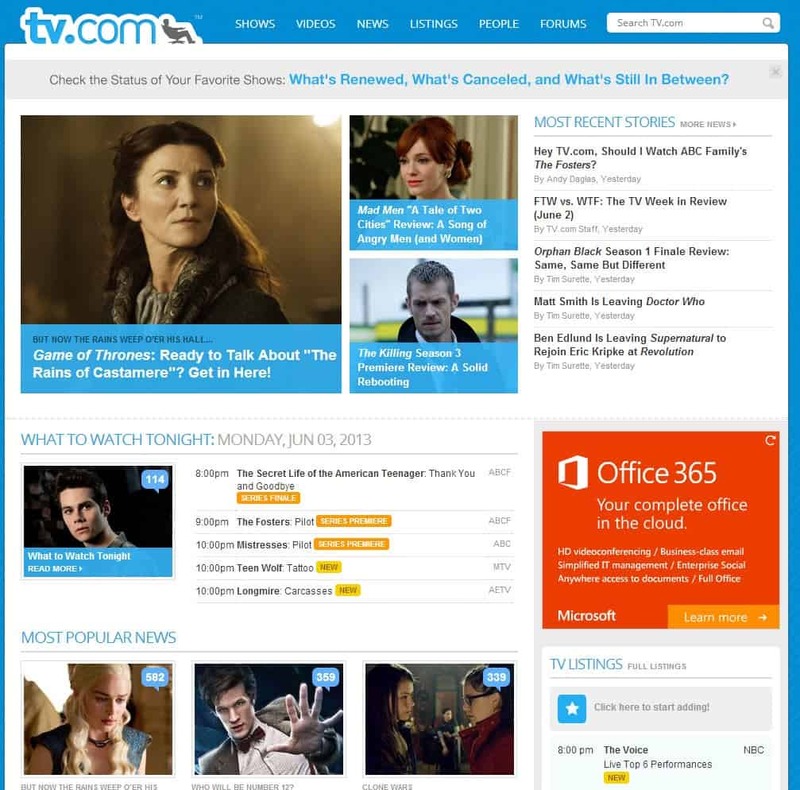 While you do not get access to all shows, you can usually watch more episodes online than the latest five. If you are from the UK, you can watch BBC shows right on the official website. 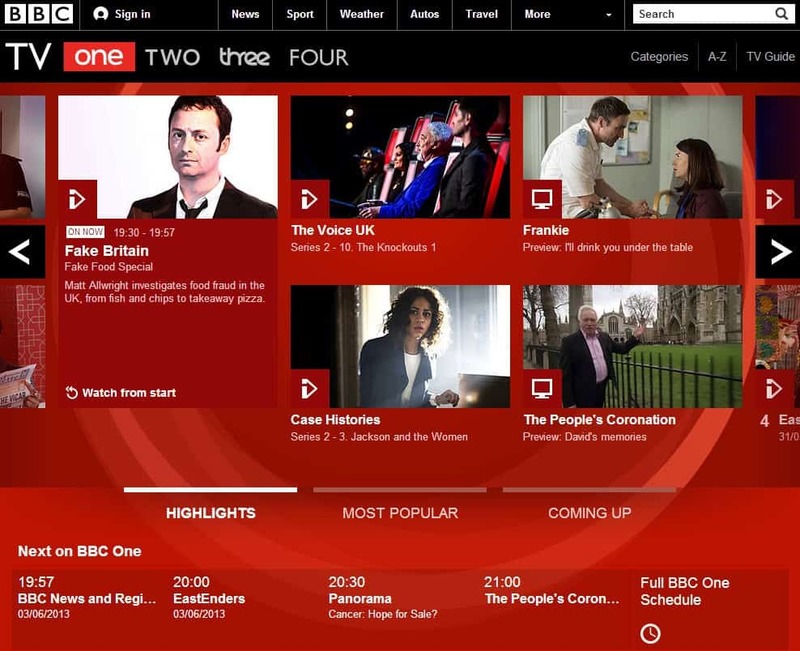 You can either browse a particular channel, BBC One to Four, or use the all programs listing instead to find a show that you are interested in. Access all ITV channels on the website. Like BBC's offering, it is only available if you are connecting from the UK. 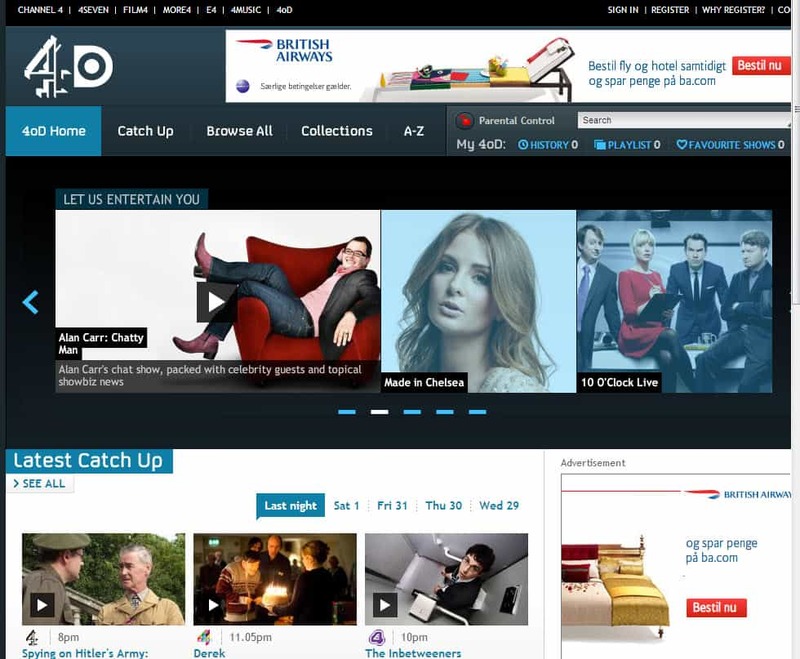 Another UK-only service offering part of its program as streams right on its website. 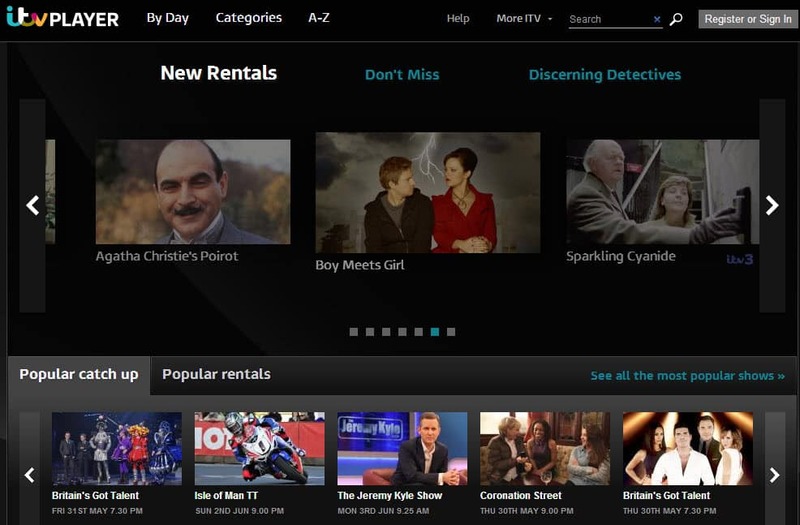 Most UK-based shows appear to be available fully, meaning all series and episodes. US shows on the other hand are limited to a couple of episodes. Free TV offers access to more than 1900 different online televisions streams that you can watch in your browser. Channels include small local stations, news stations and others. World TV PC links to a large list of free TV streams on its website that you can watch right on site. Some channels may only be available if you are coming from allowed countries. 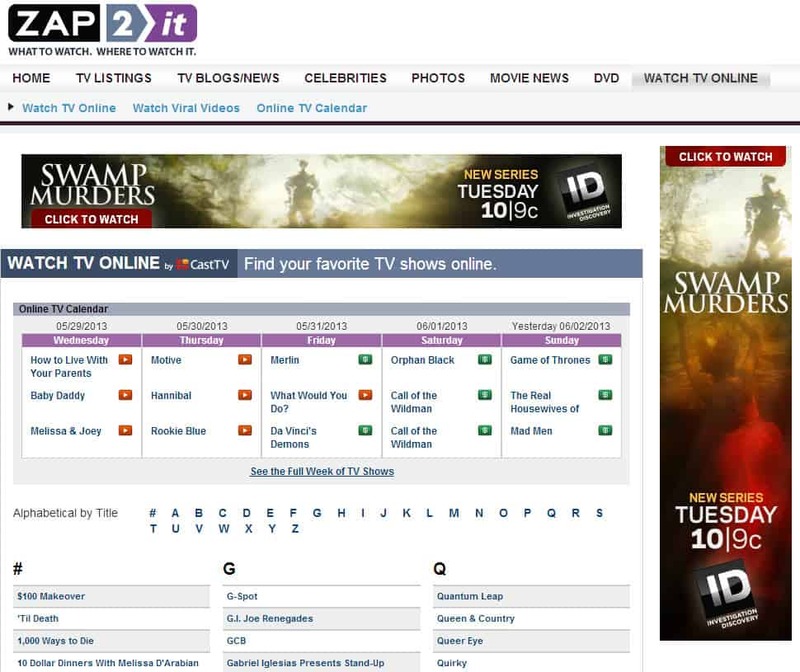 The site keeps track of TV shows, episodes and more. You can look up virtually any show that ever aired in television to see if it is available online. 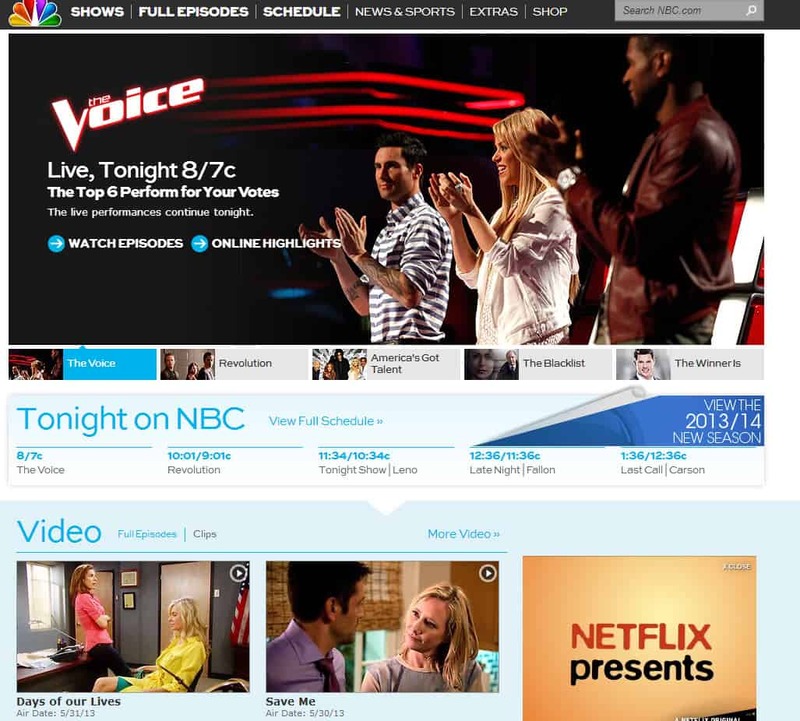 Just hover the mouse cursor over an episode and TV.com will display all available streaming services to you that offer it. This includes both free and paid solutions. Zattoo, only available in select European countries such as Germany, the UK and Switzerland provides its users with live streams of the current TV program so that they can watch it on their PC or mobile devices. Monitors TV shows and episodes and provides you with information where you can watch them online. Seems to list less free streaming options than the two other services listed above. A Dollar sign indicates if you have to pay to watch. 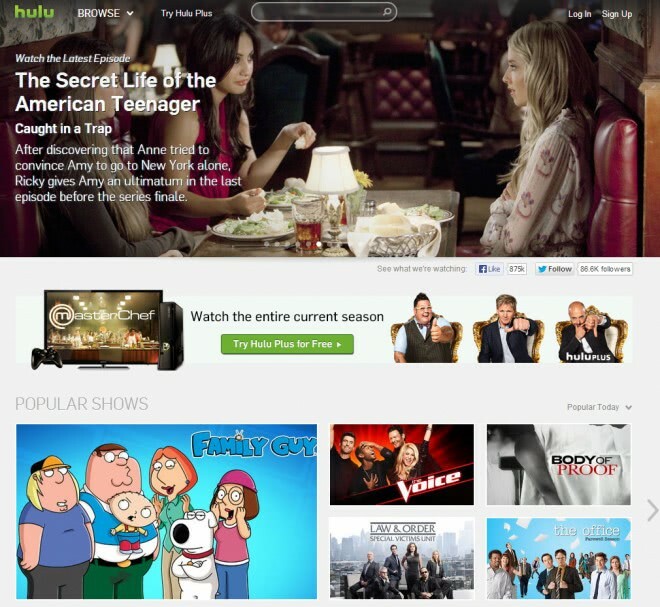 Update: Check out our overview of 2012 legal TV streaming sites which lists popular TV sites that you can visit to watch TV right on the Internet. If you are not from the US but would like to watch Hulu and other sites, try Media Hint for Chrome which makes that available. Last but not least you can take a look at our recently updated TV on PC viewing guide for programs that you can install and run on Windows systems to watch TV on your PC. Don’t forget PeekVid and Channelsufr.